If you have HANA system replication enabled , then SAP HANA automatically checks for the parameter consistency between primary and secondary sites. If the parameter do not match between two system then HANA will generate an alert, shown below. As mentioned above, These alerts occur when we have parameter mismatch between primary and secondary(replication) host. Prerequisite: We need SAP HANA access with INI ADMIN role and <SID>ADM OS level access on primary and secondary HANA systems. 1. 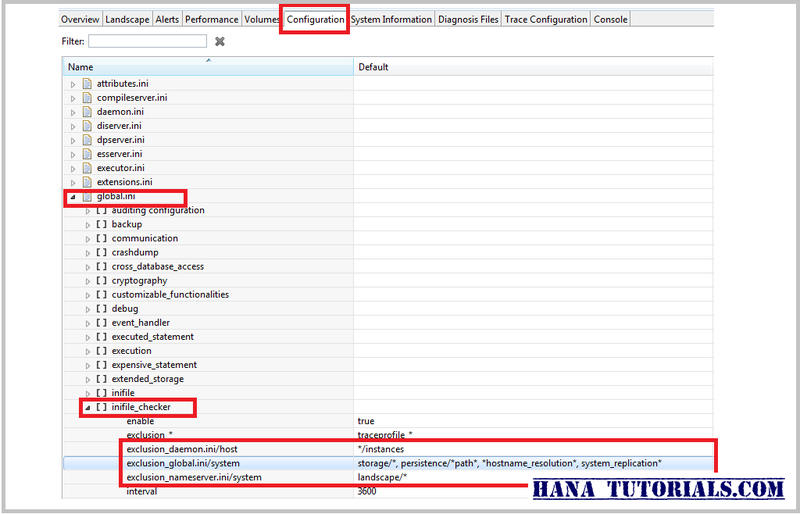 Maintain the parameter manually in secondary HANA replication system. 2. Automatically replicate the HANA parameter in secondary. 3. Disable the ini checker alert in HANA studio. 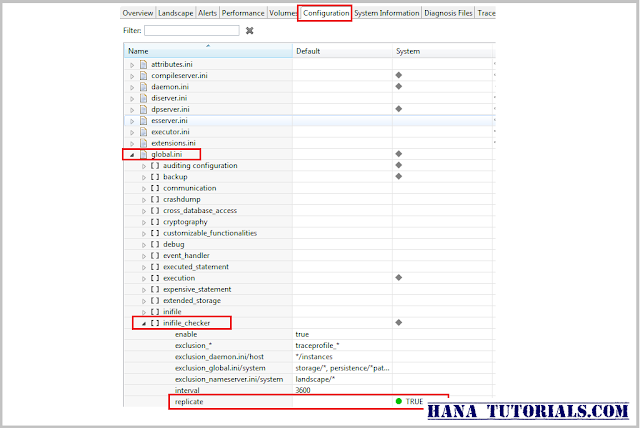 1.Maintain the parameter manually in secondary HANA replication system. Note down the parameter name for which the alert is coming. Now login to HANA secondary site as <SID>adm. You will see multiple ini files there , edit the relevant file and add the parameter. In our case, we are editing global.ini and adding parameter max_concurrency. You can check the same file in source system, both should look alike. Once the parameters are maintained , execute following command on secondary host to enable the parameters. 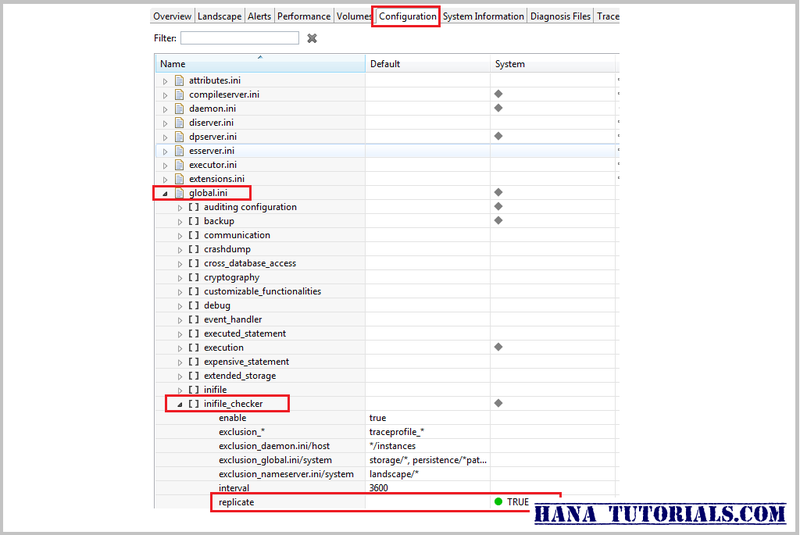 HANA system can be configured to automatically add the parameters to secondary site. 3.Disable the ini checker alert in HANA studio. Or you can disable check for particular parameters by setting following exception parameters. you can maintain these exclusion_* parameter for each ini file.